For much of the 20th century, the general movement of economic policy in capitalist societies was towards an expanded role for the state, including an expansion of the scope and extent of public ownership of industry. 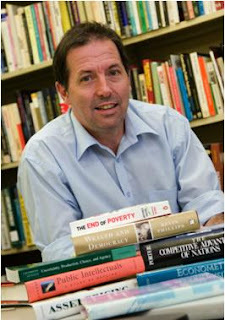 The term ‘mixed economy’ was popularized by British economist Andrew Shonfield to describe the economic system of the postwar era. This system was not a compromise between comprehensive state socialism and free market capitalism, as is often supposed. Rather, in seeking a market system actively managed by governments the mixed economy transcended this dichotomy. It was, and remains, unlike the vaporous offerings of Tony Blair and Bill Clinton in the 1990s, a genuine ‘Third Way’. At its best, the mixed economy was a substantially more democratic mode of organization than the system of globalised laissez-faire it replaced, and that has been resurgent in recent decades. Under laissez-faire, the property rights of capital owners override the democratic presumption that people should have a say in the major decisions that affect their lives. In a mixed economy, major providers of infrastructure are, or at least should be, responsive to public concerns about, for example, the environment or equity in employment. This potential was not always realised. Some public enterprises were unaccountable fiefdoms run by their managers or by narrowly-based unions. Overall, though, public enterprises of the mixed economy era displayed a concern with the public good that has been lost in the subsequent era of corporatisation and privatisation. From the 1980s onwards, the mixed economy came under sustained attack from advocates of privatisation. By the 1990s, books like The End of History and The Lexus and the Olive Tree proclaimed the final and irrevocable victory of market liberalism. But after many failed privatizations, and the failure of global financial markets, necessitating a massive government bailout, it is time to reassess the issues. The long-run case for privatization is based on the idea that the allocation of investment will be better undertaken by private firms than by government business enterprises. This claim in turn relies on the assumption that the evaluation of risk and returns undertaken by investment banks, with the assistance of ratings agencies, and the availability of sophisticated markets for financial derivatives will be far superior than anything that could be obtained by, for example, using engineering calculations of the need for investment in various kinds of infrastructure, and seeking to implement the resulting investment plans on a co-ordinated basis. The global financial crisis has shown that, for most of the past decade, market estimates of the relative riskiness and return of alternative investments have been entirely unrelated to reality. The crucial claim is that privatization always yields net social benefits and therefore that, other things equal the price for which a public asset can be sold will exceed its value in continued public ownership. This claim has never had much empirical support. Rather it has been taken on faith as a consequence of the efficient financial markets hypothesis. For many privatisations, the sale price is less than a reasonable estimate of the present value of future earnings under continued public ownership, discounted at the real government bond rate. That’s because of the ‘equity premium’ demanded by private investors to bear the systematic risk in returns. The equity premium is the difference between the average rate of return to equity (share capital) and the rate of interest on government bonds. Since equity is riskier than bonds, economic theory predicts that it should attract a higher return on average, so the existence of an equity premium is unsurprising. But the equity premium is much larger than it should be under standard assumptions about risk (in the economics literature, this is called the ‘equity premium puzzle’). According to the efficient financial markets hypothesis this is a non-problem. If private capital markets are efficient, the private sector cost of capital and not the government bond rate is the appropriate rate for evaluating the returns to public assets and. Provided the private sector is at least as efficient in operational terms, the efficient financial markets hypothesis yields a general presumption of superiority for private ownership. The global financial crisis has shown that private financial markets are far from efficient. It is reasonable to conclude that the public sector really does face a lower cost of capital, so privatisation has to be assessed on the case by case basis of whether private owners can make sufficient operational improvements to offset their higher cost of capital. The failure of the case for comprehensive privatization does not imply acceptance of the opposite extreme position in favor of comprehensive public ownership, or that privatization is never justified. There are large areas of the economy, such as agriculture and retail trade, where public enterprises have rarely operated at a profit. No fiscal benefit can arise from public ownership of a loss-making enterprise. Relatively modest reductions in profitability arising from the constraints associated with public ownership are sufficient to offset the benefits of a lower cost of capital. In particular, arguments about the cost of equity capital are irrelevant for small unincorporated businesses, where there is no reliance on outside shareholders to provide external equity. Such small businesses typically face a high cost of external capital, relying primarily on bank loans. However, the higher cost of capital for small businesses, relative to both government enterprises and large private corporations, is offset by the efficiency advantages of combining ownership and control. 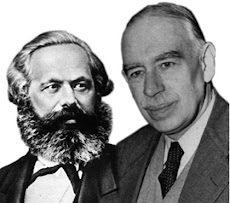 The idea that we must choose between pure laissez-faire capitalism and comprehensive socialization is part of what might be called the Great Forgetting of the lessons of the mixed economy. The mixed economy was not, and is not, a simple compromise between incompatible extremes. Rather it has given rise to an effective, and productive interaction between the private and public sectors. The balance of that interaction will change over time, sometimes requiring privatization of public enterprises and sometimes extension of the public sector through nationalization or the creation of new government business enterprises. The existing theory of natural monopoly and market failure provides an indication of the areas where public ownership is likely to prove beneficial, as does the observation that, across many different countries, the areas of the economy that have been allocated to the private and public sectors have been broadly similar. The boundaries have shifted from time to time, but, broadly speaking, public provision has been most common in capital-intensive natural monopoly industries, and in the provision of human services such as health and education. The case for public ownership is strongest in where market failure problems are likely to be severe. In the case of infrastructure industries, several market failures are important. First, because of the equity premium and the associated problem of short-termism, private providers of infrastructure may not invest enough, or in a way that maximizes long-run benefits. Second, infrastructure facilities often generate positive externalities that are not reflected in the returns to the owners of those facilities. For example, good quality transport facilities will raise the value of land in the areas it serves. Finally, there are problems associated with the natural monopoly characteristics of many infrastructure services. As regards human services such as health and education, there is a large gap between the reality of providing these services and the theoretical requirements for market optimality is so great that economists have struggled to apply economic analysis to these activities. Among a wide range of difficulties, the biggest problems relate to information, uncertainty and financing. The value of health and education services is derived, in large measure from the knowledge of the providers (doctors, nurses, teachers and others) and their skill in applying that knowledge to benefit patients and students. By contrast, the standard economic analysis of markets begins with the presumption that both parties are equally well informed about the nature of the good or service involved. The asymmetry of information is intimately linked to the fact that the benefits of health and education services are hard to predict in advance, or even to verify in retrospect. This in turn creates severe problems financing through market mechanisms such as health insurance and student loans. One way or another, substantial government involvement in the financing of health and education is unavoidable. Once governments are paying some or all of the bill, the most cost-effective solution is often direct public provision. Conversely, the case for private provision is strongest where the efficient scale of operations is small enough to allow a number of firms to compete and where markets function well, rewarding firms that innovate to anticipate and meet consumer demand, and eliminating those that produce inefficiently or provide poor service. In particular, in sectors of the economy dominated by small and medium enterprises, where large corporations cannot compete successfully, it is unlikely that government business enterprises will do much better. My home state of Queensland provides historical support for this claim, having experimented, unsuccessfully, with state-owned butcher shops, hotels and cattle stations early in the 20th century. There will always be a range of intermediate cases where no solution is obviously superior. Depending on historical contingencies or particular circumstances, different societies may choose between public provision (typically by a commercialized government business enterprise), private provision subject to regulation, or perhaps some intermediate between the two, such as a public-private partnership. Unlike most of the ideas discussed, the failure of the ideology of privatization has already been reflected in ‘facts on the ground’. Most of the emergency nationalizations undertaken during the crisis will ultimately be reversed. But the idea that public ownership is always a policy option, and sometimes a necessary choice, cannot easily be banished from public debate. The mixed economy is back, and it’s here to stay. If your main argument is that infrastructure projects are better built and owned by the government, I agree with you. The big issue though is whether the government should be running businesses. I believe they are very bad at it, for many reasons and that the wrong things were privatised. Better that public transport should be owned by the government and managed by companies. Qantas was a good privatisation, Telstra was a bad one unless you believe the government was smart to offload a high risk and declining business to the public. We already have a mixed enough economy. Marxism died a long time ago and neo-Marxism has no political home in Australia in the new-Labor or Liberal parties. I am not saying the public sector should die or should be such a small size to be ineffective. I am simply stating that the size and scope of government in Australia has been well established ever since the Hawke-Keating rationalised government on a federal level. As Rationalist said, we've never had a purely private economy, so I don't get the argument. On one point though you're clearly wrong: student loans. Although it is not a completely free market for tertiary education and its financing in the US, it is a lot freer than Australia. People all the time decide how much to borrow for a given course of study (and educational institutions decide how much to invest in programs) based on their expected future return. Public ownership has been such a thoroughgoing failure in almost every instance, the burden of proof rightly remains on those who advocate it. Bureaucrats are hopeless at running businesses. That's why they are bureaucrats - they're capable of little else. I wonder would we hold up the American model as a pargon of success? While many will rationalise away the GFC and all the other problems of unrestrained capitalism, these failures and other fundamental problems as many different groups converging on the mixed economy or similar viewpoint. There are the stable state/zero growth economics groups, the ethical and environmental economics groups, and the Mixed-Solidarity, Social economy and PARECON groups. I imagine throw in Peak Oil and Climate Change and a general powering down of global economies and will come even more the to fore. "Public ownership has been such a thoroughgoing failure in almost every instance" !? "At its best, the mixed economy was a substantially more democratic mode of organization than the system of globalised laissez-faire it replaced, and that has been resurgent in recent decades. Under laissez-faire, the property rights of capital owners override the democratic presumption that people should have a say in the major decisions that affect their lives." - That was no "system of globalised laissez-faire" then, nor is the more recent, resurgent stuff. - There is no separation or conflict between "the property rights of capital owners" and "the democratic presumption that people should have a say in the major decisions that affect their lives", not under genuine laissez-faire and free markets, because then the two groups are the same (granted, the rigged system we have now sustains different interest groups, but see the earlier point). Think of Chesterton's saying, "Too much capitalism does not mean too many capitalists, but too few capitalists" - The Uses of Diversity, 1921. - The other side of the coin, the state admixture, doesn't offer a "more democratic mode of organization" anyway. It's something that goes through various layers of bureaucracy and indirect, representative democracy (which in principle is no democracy), and at the end of the day is far less democratic in practice than even a slightly damaged laissez-faire. Granted, it is more damaged than that now, but the cure does not consist in substituting something that even at its best is materially harmful and does not deliver on what it purports to. "The crucial claim is that privatization always yields net social benefits and therefore that, other things equal the price for which a public asset can be sold will exceed its value in continued public ownership". Actually, although that is how the argument is often couched, once people focus on that they have already been caught by misdirection; they are asking "how much" and not "whether", and so on. Even if that aggregate measure improved, it would no more justify the transfers involved than, say, it would have for the Enclosure movement. Among other things, the "who/whom" question isn't being asked, and it is quite realistic for more than 100% of gains to go to some groups. Don't let this formulation tie you up. "The global financial crisis has shown that private financial markets are far from efficient". No, because (a.) it only tells you what they did, not what they are (different tenses and verbs), and (b.) even what they did doesn't show that they were not efficient, in that it may well have been a perfectly logical response to a flawed, biassed and distorted situation. A lame animal doesn't prove that muscles, sinews and skeletal structure don't work, just that they are out of joint. All that is direct criticism of what is here. For constructive ideas, readers would do well to consult the thinking of Distributists, Mutualists, and "left" Anarchists broadly understood (i.e., allowing in stuff from other kinds of Anarchist too, where it fits). P.S. "Respected Australian economist John Quiggin"? But there's still no beard! Beard = respect. P.P.S. There's some problem with copying and pasting. This form wouldn't let me do it on the first input, but only after the preview. re: copying and pasting - I've had that problem sometimes with Blogger blogs too - but it usually 'comes right' with perseverence. :)) Still no idea what's causing it. The privatisations of the past few years are the only way to rein in a public sector which will have us living with Zimbabwe style hyper inflation if they are given half the chance. Are there any alternative methods that provide a balancing force against the empire builders? Peter - re: bureaucratic 'empire building' - I think the key is electoral pressure coming from voters - building up through the public sphere... The key is that voters/citizens etc distinguish between valid criticisms in this regard - as against populist point-scoring. Tristan - I know Amartya Sen's hypothesis is that democracy is a counter force to the worst excesses of rampant capitalism. But I can’t see it will work against waste in public institution. In fact, the popular thesis is that the last state election was won by the Labor party here in Queensland because of fear in the state’s bloated public sector that the opposition would privatise a lot of empires if they won government. Mind you, budget pressure is causing the Qld government to undertake a privatisation program. Unfortunately, they are privatising the wrong empires. I believe they should be privatising bloated empires like the Public Works department which is hampering the development of a competitive environment in things like IT services. Instead they are privatising things like ports and rail where a natural monopoly exists and they can a price for the monopoly rents. "As I see it, the big problem with the mixed economy is there is no natural force to balance the average public bureaucrat’s propensity to build unproductive empires." And we dont think the private sector has not built a few unproductive empires lately (How abot Lehman, Goldman Sachs and Morgan Stanley?). This single minded selective blindness about the private sector's tendency to empire build when they are just as guilty and wasteful and speculative (more) and extravagant (more) than the Govt.......is a tad annoying. There exist many industries now where competition does not step in to stop private sector empire building (keep em in check). Private sector empire building has risen above competition in many industries and those firms now have a firm grip on control of their own price (as opposed to the consumer).The sort of industry concentrations we face nowadays makes a mockery of the quaint old fashioned concept of "competition" for that is all it is (quaint and old fashioned). A mixed economy is needed to stop rampant darwinism and survival of the fittest of corporate firms destroying whatever competition there ever was in the private sector industry (and leaving the entire supply of eg an essential good or service in the hands of the private sector - ultimately extremely foolish). Thhe mixed economy acts as a restraint, something wghich competition might have done a century or more ago, but no longer. How can competition restrain firms...when they face very little of it? Time to face facts. By $ value of turnover ..Oligopoly is likely the dominant firm structure (not comeptition). That means we simply cannot rely on competition assumptions. As as been previously pointed out, there haven't been too many state sized free-market economies. They've almost always been mixed by default as there tends to be large collectivist groups in every society. I'm don't understand what's radical with a mixed economy like what you're proposing, and a lot of the voluntary communitarian stuff comes from the free market side anyway; it's not really new. I can only conclude what you're really asking for is a larger role for the state. But anyhoo, the real test of whatever it is you're proposing is how much is compulsory, and how much is voluntary. How much are people able to engage with it and detach from it according to their own needs and wants. Secondly: My own interpretation - with regard to mutualism, collectivism etc - would suppose tax breaks, cheap credit, state-provided support/counseling. These forms of activity will not spread significantly if we just leave it to 'the free market'. But with government intervention we can potentially have a more democratic market in this sense. Further: The aim of an expansive social wage/welfare state, supported by a strongly progressive tax system - while not considered radical by many - does go against the 'common sense' (neo-liberal ideology) which is dominant over much of the world. Some, therefore, would describe these ideas as radical - but we want to bring back back into the 'mainstream'. Finally: The are many different positions on the 'democratic mixed economy' - and we could accomodate in this forum a variety of ideas on the composition and size of the public sector. For my own reasons, I don't believe industries like mining should be 'out of the question' - especially in the context of an internationally competitive market. But even on the Left here in Australia - many would feel such a position goes 'too far'. I hope one day to put a more comprehensive case. In conclusion: 'radical' and 'moderate' are relative terms. But across a variety of perspectives I believe we have a common interest in challenging neo-liberalism. And I hope can host a variety of perspectives across the range specified by our 'mission statement'. What if we returned to the idea that capitalism isn't the end of history.... Or did history end while I wasn't looking? This system was not a compromise between comprehensive state socialism and free market capitalism, as is often supposed. Rather, in seeking a market system actively managed by governments the mixed economy transcended this dichotomy. A mixed economy complements, rather than substitutes, free market capitalism. A better name for the "mixed economy" is perhaps "complementary capitalism". A brilliant economist who worked for the UN in underdeveloped countries for many years said, "I don't care whether a country is socialist or capitalist. I care whether the government is honest or corrupt, that is what makes all of the difference." I think that is a crucial factor in thinking about mixed economies. Unfortunately, the majority of countries are quite corrupt. The least corrupt are European countries, Australia, Canada, etc. should take part in a contest for one of the best blogs on the web. I will recommend this site!